It is important to adhere to the highest degree of safety so that you keep yourself away from the malpractices which are prevalent in the online world. Hence, the onus becomes even more if you are the owner of your business who caters to the needs of increasing numbers of people. Therefore, security becomes the important factor as its relevance cannot be ruled out in any way. The news gains even more significance and importance especially in the wake of recent crimes which have literally shaken the online world. However, with a little bit of introspection, you can make a pleasant change in your life. After all, the only thing which can help you ensure endless and everlasting smiles is that you as you buy and renew SSL certificate online, you ensure the best assistance. Since, it is going to ease you to the fullest, like the way you have always wanted as well. Hence, as you make the smart decision of getting the SSL certificate from an esteemed Certificate Authority in the form of Symantec, you are able to take your business to heights. After all, it stands out to be the coveted investment which will change the face of your business for the better. There are increasing numbers of companies which cater towards managing variety of digital certificates manually in spreadsheets. However, it has the potential of creating endless mistakes. In the event when it is not checked, it can even lead towards damaging the reputation of the company as well. The best thing is that there are possible solutions which will help your business in the best possible manner. Automated tools have the potential of searching a network along with recording all discovered certificates. These tools works best towards assigning certificates to business owner by equally managing automated renewal of certificates. The software assists towards checking whether the deployment of software was done in an appropriate way or not. Automated tools also require the invention manually since there is a chance that the scanner might be able to miss the certificate especially in the event when they are stored in those places where it does not have any sort of access. For example one of the places which deserve to be mentioned here is the registry in the case of keys which support Microsoft’s Encrypting File System. You authenticate yourself, your website along with your business. Therefore, any sort of sensitive data which is there between the user’s web browser and the business server is 100% safe and encrypted. The best thing is that you do not have to burn a hole in your pocket as the package is quite cost effective. You just have to shell £259 in order to get an annual certificate. In the event when there is a large estate of Web applications, it becomes quite a challenging task to avoid mistakes. However, as you make smart moves, you are surely going to make a pleasant change for yourself by being happy like never before. Therefore, it necessitates you to be planned. Every strategy should be dealt from before in the event when the certificate authority is hacked and as the need arises, certificates in the organization network needs to be replaced as well. Therefore, it is important for you to plan yourself so that you have nothing to worry in the process as well. Therefore, now thanks to your smart decision you are going to make the pleasant difference like never before. Isn’t it? SSL certificates are definitely things to watch out for. With malicious activities increasing more than ever, it is certainly required to have proper authentication of your website not just while making monetary transactions, but also while transfer of sensitive data. Trust issues online are a big deal. Those looking to make a purchase online need to feel safe and secure with whoever they’re dealing with. I think SSL certificates can give this assurance. Is this necessary to do immediately? I have an admin account in my blog as well as few guest posters. Since the security is more crucial it is a good move to remove the administrator account. What will happen to the posts I made from that account? 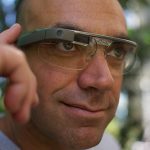 Very good informative post, got me bit worried! The costs have become a lot more affordable these days..There is no excuse for not securing your business servers especially if you’re dealing with sensitive data. Well i think for all online transaction websites we should use ssl which is what it called as trusted. And users can easily proceed without any hesitation. Do you think a normal blogger like you and me need to get an SSL for our blog? Of course if you are rich enough you might opt for it but there are many other ways to protect our blog. Do you recommend for bloggers? If you’re providing some paid service then it’s good to use it. For bloggers it’s not that much necessary. 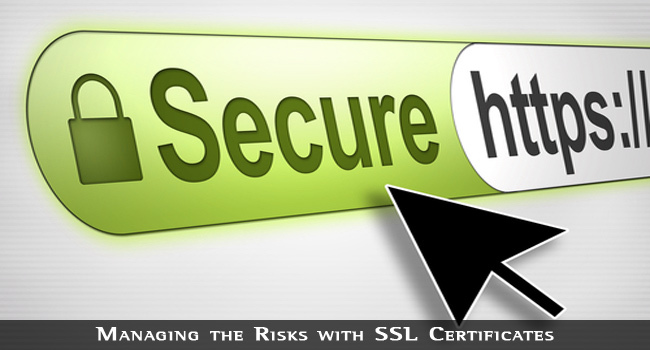 People prefer websites with good reputation and SSL is a good way to have reputation. Could not have agreed with you more! Investing in an SSL Certificate can certainly improve a website’s reputation and even increase credibility.